A new fellow has emerged today as part of the F&G “Garden Creatures” greeting card series. 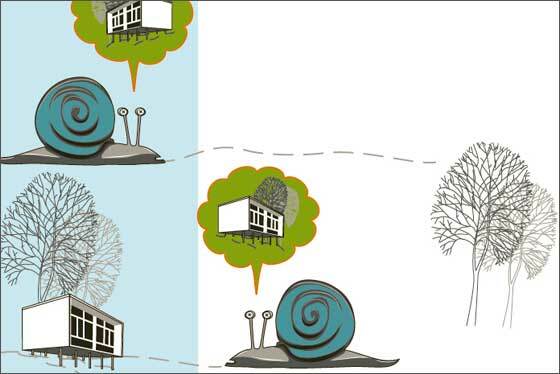 A snail dreaming of a house inspired by the early work of 1960’s modernist architect, Harry Seidler. This snail will make a beautiful card design but dreams ultimately of being wallpaper in a Seidler house. This entry was posted in French & Godbold and tagged dreams, illustration, work in progress. Bookmark the permalink.